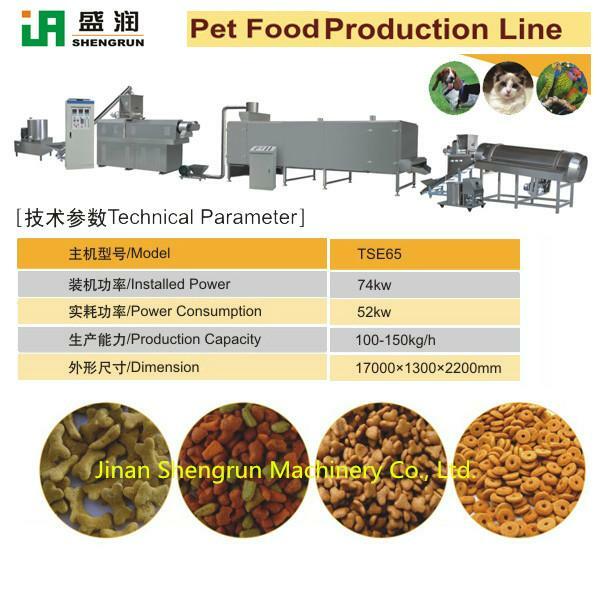 TSE65-P pet food extruder is our company’s superior product, which can be used to make pet food from corn meal, wheat flour, rice flour, meat, bone, fresh fish etc. It can be adopted to make puffed pet food, such as dog food, cat food, fish feed etc.. Its capacity is 100-150 kg per hour. Our pet food extruder is equipped with a couple of strong wear-resisting nitriding treatment alloy steel (38CrMoAl) screws. 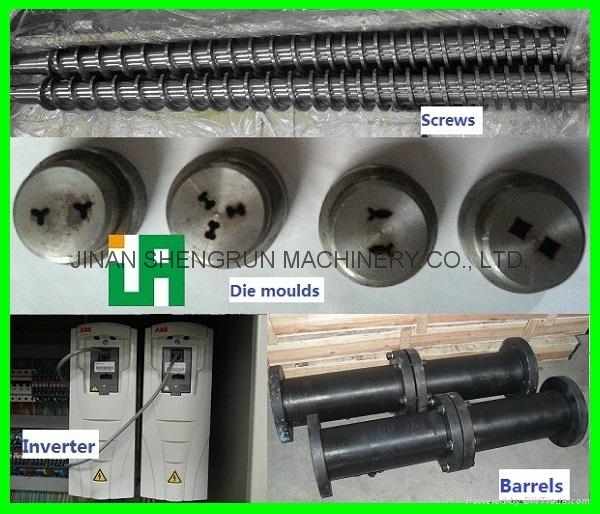 So it is one kind of twin-screw (double screws) extruders. Its main motor, feeder and cutter can be controlled by inverters. The gear box is lubricated by lubricating oil forcibly, which is good for increasing of service life. All production parameters (such as temperature, pressure, rotating speed, electrical parameter) are visible and controllable. 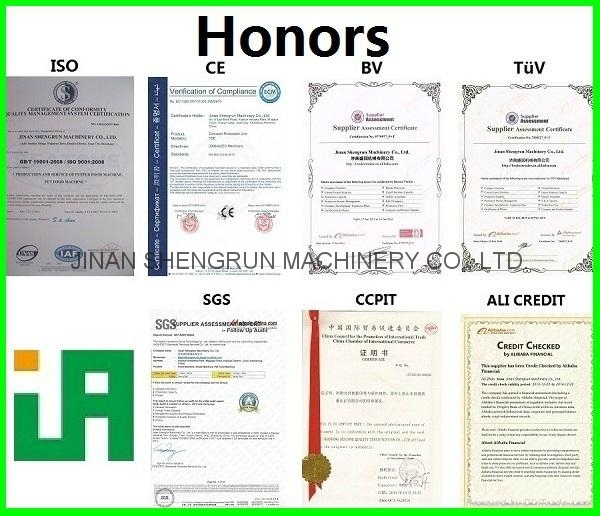 Based on our powerful design and manufacture capacity, we can custom-made extruder as per customers’ requirements. 2.1 Twin-screw extruder adopts variable-frequency regulating speed technology, which can supply more power, operate more steadily, but less energy consumption. 2.2 The screws adopt nitriding alloy steel, which make them longer life. Some extruders’ screws adopt building composite structures. It can be combined discretionarily according to different requirement. 2.3 Twin-screw extruders are equipped with forced lubricating system, to make sure drive system has long life. 2.4 Twin-screw extruders are equipped with full automatic visible temperature control system. 2.5 Twin-screw extruders have self-cleaning function, don’t need to disassemble screws to clean. 2.6 There are different screws and die molds for different pet food. 2.7 Twin-screw extruders have wide material range, multi-shape products and flexible collocations. 3. Extruder screws quantity is two. The screws can be integral screws or combined screws (option). 4. The main body material is stainless steel, which is easy to be cleaned. Die moulds and barrels material is 45# steel (GB/T699-1999).